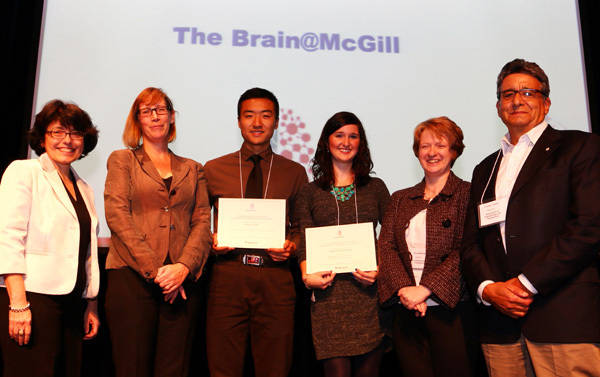 Dr. Kathleen Cullen presents the 2014 Brain @McGill Awards for Neuroscience Undergraduate Research. 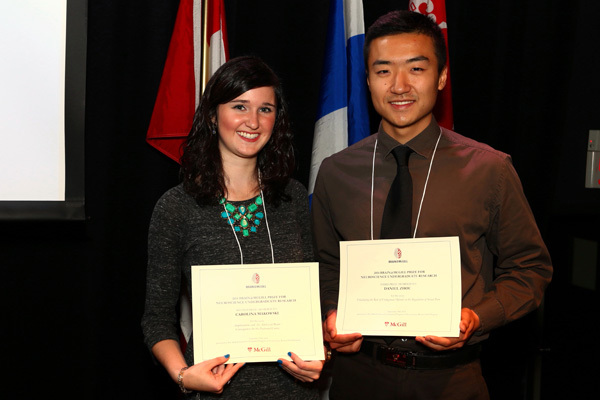 Second place winner Carolina Makowski and Third place winner Yi (Daniel) Zhou. 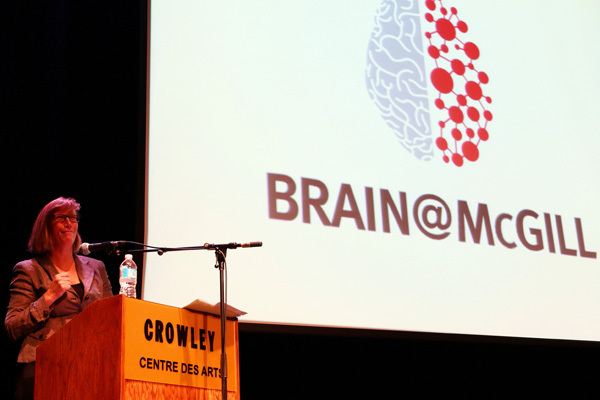 Dr. Anne McKinney and Dr. Claudio Cuello.